The Britannia is along this Thursday moored in the Port of Funchal. The ship arrived shortly after 08:00, coming from A Coruña (Galicia), and leaves Funchal at the end of the afternoon, at 6:00 p.m., heading south towards Santa Cruz de La Palma (Canary Islands). It is moored at the south pier, is run by Blatas, Ldª and carries around 3,600 tourists, from different nationalities. 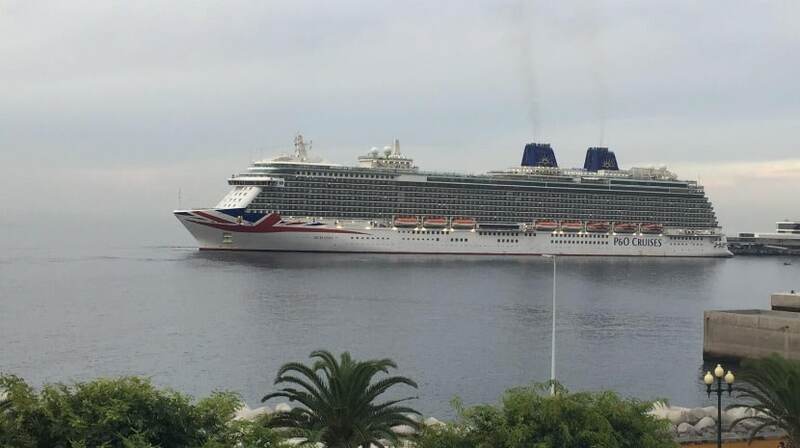 Launched to the water in 2015 and built on Italian shipyards Fincantieri (Monfalcone), Britannia – operating for P & O Cruises – displaces 143,730 gross tones, measures 330 meters in length by 38.4 meters in the mouth and 8.3 meters in draft. It ships with the United Kingdom flag, has a maximum capacity of 3,647 passengers and adds 1,358 crew.